Sarah Anderson and Dan Savickas contributed to this blog post. Legislation already introduced in one or both chambers could answer four of President Trump’s calls to action for Congress: to hold bureaucrats accountable to their actions, to give the terminally ill the right to try, to reform our prison system, and to pass substantive welfare reform. Holding our federal bureaucracy accountable is essential to create an efficient government, but too often, Cabinet members are unable to reward good workers and remove bad ones. Last year, the Department of Defense Whistleblower Act, S. 1094, passed swiftly through both chambers of Congress and became law. This bill allowed Veterans Affairs (VA) Secretary Shulkin to combat waste, fraud, and abuse within his agency by giving him the authority to offer rewards or bonuses to deserving employees, and to remove employees for misconduct or poor performance. Rep. Barry Loudermilk (R-Ga.) has been a leader on this issue, supporting the results of S. 1094 after its passage. FreedomWorks issued a statement urging members to sign onto a dear colleague letter authored by Rep. Loudermilk along with Rep. Brad Wenstrup (R-Ohio) asking other Cabinet members to seek the authority granted to VA Secretary Shulkin in S. 1094. However, Rep. Loudermilk also offered a simpler, more comprehensive solution to combating the unaccountable bureaucracy with his introduction of the Modern Employment Reform, Improvement, and Transformation (MERIT) Act, H.R. 559, months before S. 1094 was even introduced. FreedomWorks Vice President of Legislative Affairs Jason Pye hosted Rep. Loudermilk for a Facebook livestream to discuss the bill in February 2017, when the MERIT Act was named our bill of the month. The MERIT Act is a common sense proposal, with over three dozen cosponsors, that would create a simpler process for department heads to remove bad employees. If Congress intends to take the president’s request seriously, it should turn its attention to Rep. Loudermilk’s bill, and work to get the MERIT Act onto the president’s desk. On this point, the president is absolutely right. There is no reason that terminally ill Americans should be prevented by the bureaucracy of the Food and Drug Administration (FDA) from trying everything reasonable to save their lives. There are bills in both chambers of Congress, the Right to Try Act (H.R. 878) in the House and the rickett Wendler, Frank Mongiello, Jordan McLinn, and Matthew Bellina Right to Try Act (S. 204) in the Senate. FreedomWorks issued a letter of support for H.R. 878, which was also our bill of the month for September 2017. The Senate bill has already passed its chamber by unanimous consent, but the House bill, which is stronger than the Senate-passed version, is still sitting in committee. Generally speaking, these bills would open the door for terminally ill patients to access drugs that have already passed the FDA’s basic safety testing, after exhausting all other options. This is a reasonable measure that encourages patients to try all available options and participate in clinical trials, but allows them to seek further treatments if those options fail. Rep. Andy Biggs (R-Ariz.), the sponsor of the Right to Try Act in the House, issued a press release after the president made his comments to bring the Senate-passed bill to the House floor, despite the differences between the bills. Rep. Biggs’ commitment to passing this critical right to try legislation is commendable, and House leadership should heed this call. The effort to reform the federal justice system in the 114th Congress ran out of gas in September 2016. Legislation was introduced in both chambers that offered modest reform of federal sentencing laws and prisons. In July 2017, Rep. Doug Collins (R-Ga.) introduced the Prison Reform and Redemption Act, H.R. 3356. The bill, which FreedomWorks supports, would require risk and needs assessments of every federal prisoner. The results of the assessment will be used to develop a plan based on the prisoner’s chances of reoffending, with the goal of lowering their risk of recidivism. Similar to how states like Georgia have reformed corrections, federal prisoners would have access to programming designed to reduce recidivism, and the Prison Reform and Redemption would incentivize them to do so. For every 30 days of successfully completed recidivism reduction programming, prisoners will earn ten days of time credits. Those prisoners who are considered to have low or no risk of recidivism can earn an additional five days, for a total of 15, provided that their risk of recidivism doesn’t increase over two risk assessment periods. Certain categories of offenders, including violent offenders and terrorists, aren’t eligible for time credits. The Prison Reform and Redemption Act would allow for great access to visitation and phone privileges, create a pilot program to address the heroin and opioid epidemic, and prohibit the restraint of pregnant offenders unless the offender poses a serious threat. The bill would require the Bureau of Prisons to collect statistical and demographic information to be provided to Congress on an annual basis. Of course, prison reform really only touches the surface of what can be done at the federal level in terms of criminal justice reform. At least aspects of sentencing policy should be addressed should Congress address prison reform this year. Expansion of the federal safety valve is one aspect that could be added to the Prison Reform and Redemption Act, as the current safety valve is far too narrow. The stacking of charges is another issue that Congress should address. We support the Prison Reform and Redemption Act, but we hope that Congress will take the bill a step further to include at least some substantial sentencing reforms as well. 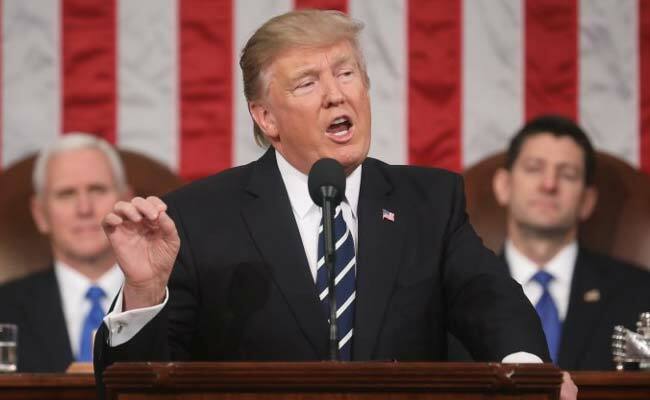 President Trump rightly touted the investment and job growth created by the Tax Cuts and Jobs Act in his State of the Union. Now that more companies are hiring more workers, the country has a unique opportunity to tackle another issue that has weighed on the nation for years: welfare reform. When going about lifting our citizens “from welfare to work, from dependence to independence, and from poverty to prosperity,” there is no better way to go about accomplishing those worthy goals than work requirements. Our current ways of dealing with welfare recipients are incredibly inefficient. Studies show that less than one-quarter of current recipients are able to find employment after leaving welfare. Given that we spend almost one trillion dollars per year on welfare programs, this is unacceptable. States like Kentucky are already adopting some work requirements for programs like Medicaid. President Trump and Congress should continue to empower state and local communities to adopt these programs. It will help both to cut costs and to give recipients valuable work experience to decrease their dependency on the program. Beyond this, our spending on welfare programs is out of control. Currently, it accounts for one-quarter of all federal outlays, and is rising every year. In order to get our fiscal situation in order, we need to take a hard look at welfare. If we are not willing to address waste in an area this large, we will never get a full handle on our harmful pattern of reckless federal spending. There is already bipartisan support for reducing the debt and deficit, and reforming welfare is a key way to do it. We should work across the aisle to get substantive reform for the president to sign. Some of this legislation poses a harder lift for Congress than others. The MERIT Act and the Right to Try Act(s) are straightforward, already-mapped-out solutions to provide simple wins for the administration and the American people, whereas the Prison Reform and Redemption Act and the upcoming farm or infrastructure bills that would likely serve as the vehicle for welfare reform representing tougher battles for Congress to fight. Regardless, these four initiatives are on the priority list for the president, for FreedomWorks activists around the country, and for mericans as a whole. As far as Congress is able to take the reins on these four calls to action, it should and it must, for freedom and for the people.